WorkSafeNB is committed to promoting healthy and safe workplaces for New Brunswick's workers and employers. While our priority is preventing workplace injuries and occupational disease, we provide comprehensive rehabilitation services and fair compensation benefits when these do occur. WorkSafeNB is seeking applications for casual bilingual support clerk positions, located in Grand Bay-Westfield, New Brunswick. Reporting to the assigned manager, the bilingual support clerk will be responsible to perform various office duties, such as communicating verbally and in writing with clients and stakeholders; helping the team with various tasks; authorizing payments of medical accounts; etc. This is a challenging multi-faceted position that would be ideal for detail-oriented individuals who are self-starters, and have the ability to adapt to a rapidly changing business environment. Written and spoken competency in English and French is required. If you are interested in employment with WorkSafeNB, please apply online at worksafenb.ca by April 24, 2019. For more information about WorkSafeNB, or this and other employment opportunities, please visit our website at worksafenb.ca. See more of what WorkSafeNB has to offer. 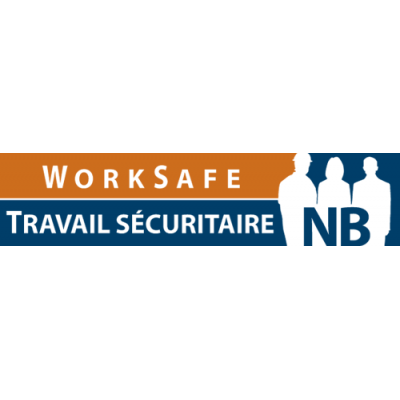 WorkSafeNB administers no-fault workplace accident and disability insurance for employers and their workers, funded solely through assessments on employers. All employers having three or more workers are obligated to obtain compensation coverage. WorkSafeNB is committed to preventing workplace injuries and illness through education and enforcement of the Occupational Health and Safety Act. WorkSafeNB is administered by a board of directors consisting of the chairperson, a vice-chairperson, the president and CEO (non-voting member), the chairperson of the Appeals Tribunal (non-voting member), five members representing workers, and five members representing employers. Other than the president & CEO and the chairperson of the Appeals Tribunal, members of the board of directors serve part-time. Promote the creation of a workplace safety culture in which all employees and employers view all occupational diseases and accidents as being preventable. Promote an understanding, acceptance, and compliance with all legislation for which WorkSafeNB is responsible, including the enforcement of the OHS Act and regulations. Provide timely compensation benefits, medical aid, rehabilitation, and safe return-to-work services to injured workers. Provide sustainable insurance and insurance-related services to the employer community. Represent stakeholders and provide recommendations and advice to government with respect to legislation, and publish such reports, studies, and recommendations WorkSafeNB considers advisable. Assessments are affected by the level of activities in the province's workplaces, as are the resulting claims. There are also substantial assets that ensure WorkSafeNB will be able to provide the ongoing benefits promised to injured workers through a wage loss recovery insurance system. These funds are invested in the financial markets and investment returns are subject to the ups and downs of the marketplace. WorkSafeNB's head office is located in Saint John. The WorkSafeNB Rehabilitation Centre is located in Grand Bay-Westfield. We also have offices in Bathurst, Grand Falls and Dieppe.